Professional smartphone repair solutions for the S3 and S4 Galaxy mobile phone in leeds, West Yorkshire. While-u-wait repair and support services at our North leeds branch. Are you looking for a professional laptop screen repair service in London, Essex, and Kent. Here at iFixExpress we only use high quality and original parts. Express Amazon Kindle Fire HD screen repair service across the capital, Essex, and Kent. & Days a week by our iFixExpress Certified Technicians. Don't want to wait days for your Samsung Galaxy repair? Our Technicians are mobile and can be with you within 1 hour in London, Essex, or Kent! Premier high quality express Samsung Galaxy S3, and Galaxy S4 screen repair services across the capital 7 days a week. 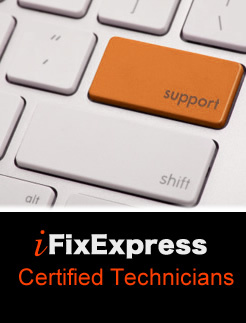 Mac Support London – iFixExpress offer expert mac support, consultancy, and maintenance daily across the capital. IFixExpress is unique in that it can deliver the broadest range of strategic services, solutions and support for businesses and individuals throughout London. Here at iFixExpress we can support you Macbook, iMac, Mac Pro, or Mac Mini Quickly and safely. With many business owners choosing the Mac, iPhone, and iPad for their employees it is important to establish a relationship with a reliable established company that can provide minute by minute support to a growing infrastructure We can send a technician to assist at your location or help your employees remotely by email, log me in, chat, and telephone. If its iPhone or iPad integration your after iFixExpress can work with your Organization every step of the way. our solutions can help your business integrate your iPad or iPhone fleet with mobile devices on any platform—Android, BlackBerry, Windows or other mobile OS systems. we’re always at the forefront of mobile device administration challenges. We know every business is different and that’s why we’ll work with you personally to provide the exact kind of support you need, always when you need it. Not only to we provide support to business but residential as well. If its Mac support your after you have come to the right place. Our expert team member can talk you through slowly any kind of support or training you require. Many people that contact us for support are having issues with email, maybe a virus, integrating there iPhone, or iPad into a home Mac network. In all there is lots of reason why you might need a little support for your Apple home or business network, iFixExpress is here to help. FixExpress ® Certified Support Technicians can be dispatched to your home, office, or evan hotel room the very same day to provide support and maintenance solutions throughout London, and Essex. Our technical advisers will be able to help with many Apple related issues you may be experiencing. Our support technicians out knowledgeable, friendly, reliable and finally don’t speak geek. For quality Mac support London services look no further. Quality, professional, reliable Mac maintenance, and consultancy, tailored to each specific customer or company. Expert advice from a dedicated team throughout the capital. Our technical advisers will be able to help with many Apple related issues you may be experiencing. Contact us today.